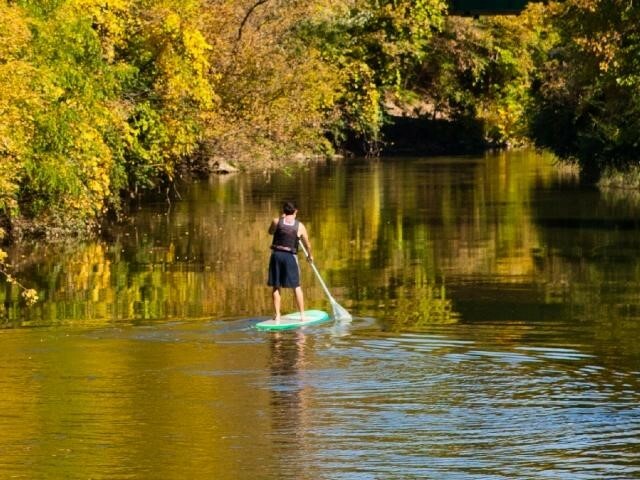 ﻿ ECO Sports Corridor - Whitewater Park - Ohio. Find It Here. Thanks to the removal of low-head dams and some significant in-stream improvements, Springfield's Buck Creek is now whitewater country. 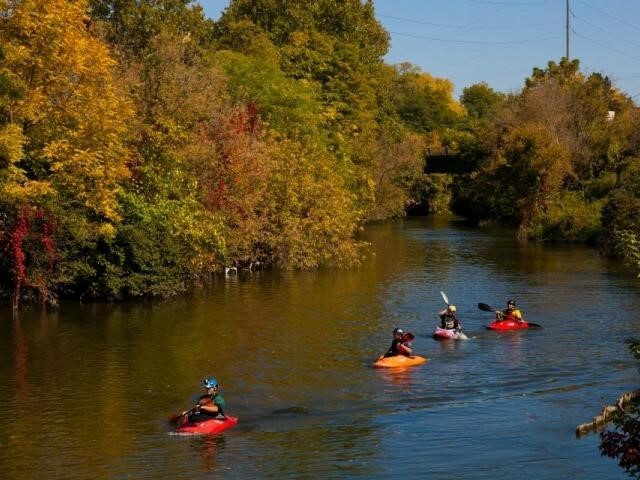 The ECO Sports Corridor features four recreational whitewater kayaking areas including a large-scale "park & play" area in Snyder Park. 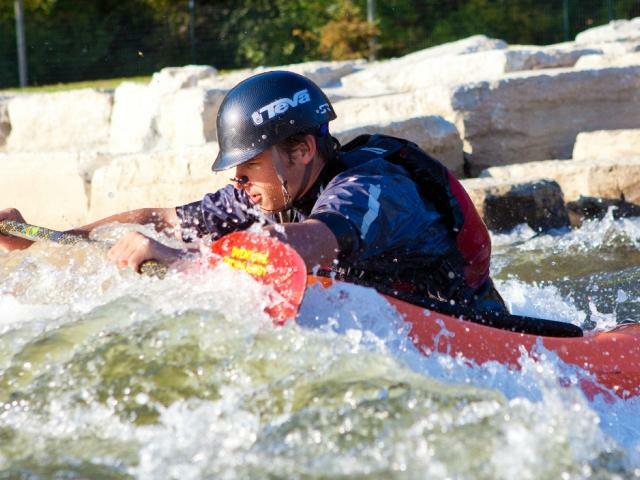 Visitor from all over the Midwest have been drawn to Springfield to experience this unique downtown whitewater site.Buck Creek has something for every boater and every skill level, from the beginner learning to negotiate moving water to the advanced playboater working on the latest freestyle moves. Boaters can paddle nine whitewater features as they pass beneath the new Springfield Regional Medical Center. 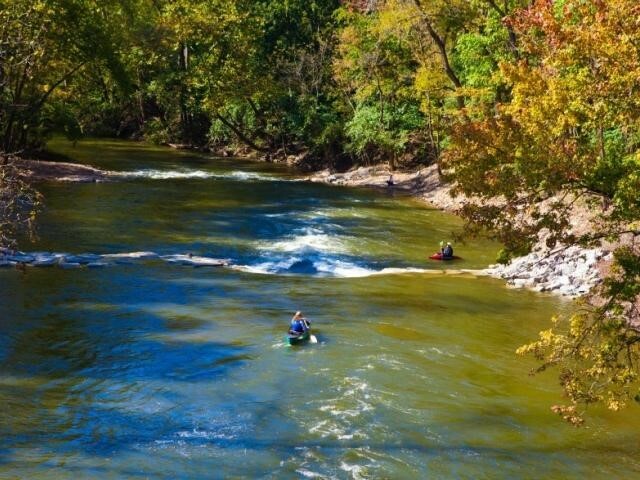 In addition, the natural limestone shelf-rapids further upstream complete a 6 mile run from Buck Creek State Park, through downtown, to the confluence of the Mad River. An added bonus - the Friends of Buck Creek have secured 'Weekend Recreational Releases' through the fall from C.J. Brown Dam & Reservoir via the US Army Corps of Engineers. The releases run every Saturday and Sunday from mid September through November.